Computer IT Support & Managed IT Services - Kansas City, Independence, Lee's Summit | Pro Computer Solutions, Inc. Many small businesses find it challenging to deploy, maintain, and protect their technology. 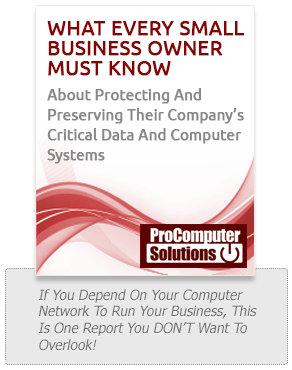 Whether you're looking to keep IT costs predictable, avoid unexpected problems, communicate more effectively, or make a plan for business continuity, Pro Computer Solutions has a solution for you.